The Bible unfolds in a definite place, a relative narrrow band of land of Israel. And land is the basis for any agricultural society which we find in the Bible. After the Pentateuch (the first five books of Scripture), there is a major transition as the wandering Israelites entered the ancient land of Canaan. Under Joshua, the Israelite armies conquered this territory promised to them by God as an inheritance (Josh. 1:1-6). The small land of Israel, just 200 miles long and 100 miles wide, would be the main stage for stories in the Bible from then . There are connecting points between land, life, and theology. The three great festivals (Passover, Firstfruits, and Ingathering) corresponded to the beginning and end of harvests. Rain is the grace of God. Food on the table is the blessing of God. Drought is a time of testing. The land also supported the herding of sheep and goats. So it was easy to describe God’s care as his shepherding (Ps. 23), and Jesus as “the good shepherd.” Real land, real life, real people, real God. Most of the references of land fall into the Old Testament. “The Lord “cut” an unconditional covenant with Abraham in which he stated, “To your descendants I give this land, from the river of Egypt to the great river, the Euphrates” ( Gen 15:18 ). The Lord periodically reconfirmed the aspect of the land to Abraham ( Gen 12:7 ; 13:14-17 ; 17:8 ; 24:7 ). The reason the Lord gave this land to the children of Israel was because he was faithful to his covenant to Abraham ( Deut 9:4-5 ), his love for Abraham ( Deut 4:37 ), and his love for Israel ( Deut 7:8 ). “It was only after the Lord “cut the covenant” with Abraham that he gave a general delineation of the land. He said, “To your descendants I give this land, from the river of Egypt to the great river, the Euphrates” ( Gen 15:18 ). “The Bible describes the land of Israel at least nineteen times as “a land flowing with milk and honey” ( Lev 26:3-12 ; Numbers 13:23Numbers 13:28 ; 14:7 ; 24:3 ; Deut 6:3 ; 11:9 ; Deuteronomy 26:9 Deuteronomy 26:15; 27:3 ; Deuteronomy 28:2-7 Deuteronomy 28:11-12 ; 31:20 ). The image can denote a lush green land that produces an abundant and fruitful harvest. But this word picture may not be an accurate representation of the term. Isaiah used the phrase “milk and honey” to describe the devastation of the land after the Assyrians conquered it ( Isa 7:21-25 ). This seeming paradox is resolved by considering the perspective of the audience being addressed. “The idea of plenty and abundance is partially true. When God described the land of Canaan to Moses, he used the term “milk and honey” to imply the bountifulness of the land ( Exodus 3:8 Exodus 3:17 ; 13:5 ; 33:3 ; Lev 20:24 ). When the twelve spies returned from the land of Canaan, they recounted their adventures and characterized the land as “flowing with milk and honey” ( Num 13:27 ; 14:8 ). The spies observed that cattle and goats produced more milk in areas abundant with forage. Thus, an area abundant with vegetation would be considered a land “flowing with milk.” Honey, in the biblical period, was not a cultivated product. It was associated with nonagricultural areas that were covered with wild vegetation. This is demonstrated by the account of Saul swearing his men to an oath when they fought the Philistines ( 1 Sam 14:25-26 ). “When Israel entered the land of Canaan, the hill country was uninhabited and covered with natural forests and thickets. Joshua commanded the tribe of Joseph to go up to the forest country and clear a place. When they took the wooded area, cut it down, terraced it, and planted trees on the terracing, the Israelites passed from a pastoral society to an agricultural/farming society. “The entire land was not uninhabited and forested. The Canaanites lived in the valleys and cultivated them ( Joshua 17:16 ). The twelve spies returning from their trip into the land of Canaan carried the bounty of the summer harvestgrapes, pomegranates, and figsfrom the cultivated Valley of Eshkol ( Num 13:23 ). “The 48 contiguous states alone are a 1.9 billion-acre jigsaw puzzle of cities, farms, forests and pastures that Americans use to feed themselves, power their economy and extract value for business and pleasure. “The U.S. Department of Agriculture divides the U.S. into six major types of land – Pasture, Forest, Cropland, Special Use, Miscelleneous, Vurgan. The data can’t be pinpointed to a city block—each square on the map represents 250,000 acres of land. But piecing the data together state-by-state can give a general sense of how U.S. land is used. “Gathered together, cropland would take up more than a fifth of the 48 contiguous states. Pasture and rangeland would cover most of the Western U.S., and all of the country’s cities and towns would fit neatly in the Northeast. “Even though urban areas make up just 3.6 percent of the total size of the 48 contiguous states, four in five Americans live, work and play there. With so much of the U.S. population in urban areas, it’s little surprise that these areas contribute an outsize amount to the economy. The 10 most productive metropolitan areas alone contributed to about 40 percent of U.S. GDP in 2016. “The U.S. is becoming more urban—at an average rate of about 1 million additional acres a year. That’s the equivalent of adding new urban area the size of Los Angeles, Houston and Phoenix combined. U.S. urban areas have more than quadrupled since 1945. “More than 100 million acres of special-use areas are park and wilderness areas, where most commercial activities, such as logging, mining and grazing, are excluded. “Agricultural land takes up about a fifth of the country. Yet the actual land area used to grow the food Americans eat is much smaller—only about the size of Indiana, Illinois and half of Iowa combined. More than a third of the entire corn crop is devoted to ethanol production. Most cropland is used for livestock feed, exports or is left idle to let the land recover. “While the U.S. benefits from an overall agricultural trade surplus, Americans imported 15 percent of their food and beverage products in 2016. More than 30 percent of the fresh fruits and vegetables Americans consume come from other countries, predominantly Mexico and Canada. The amount of U.S. land used to produce citrus fruits alone is larger than Rhode Island. “More than one-third of U.S. land is used for pasture—by far the largest land-use type in the contiguous 48 states. And nearly 25 percent of that land is administered by the federal government, with most occurring in the West. That land is open to grazing for a fee. There’s a single, major occupant on all this land: cows. Between pastures and cropland used to produce feed, 41 percent of U.S. land in the contiguous states revolves around livestock. We are no longer a strictly agricultural society as was true in the Bible. That makes the regulation and use of land even more important in Caroline County. There is a Comprehensive Plan for 2030 with a chapter on land which they quote as the heart of the plan. 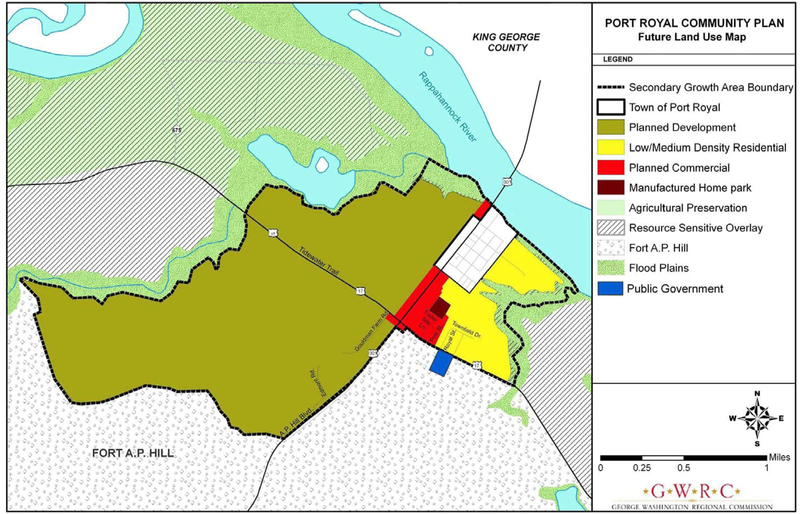 Plans have been developed for specific parts of the county since 2001 including Port Royal. Residential growth.They project residential lot supply will be twice the demand through 2020, provided the population increase falls in the middle of the projection. The aim is have to lot supply at two to three times demand. This is taken from Port Royal Community Plan, adopted 2004. “After important natural resources are identified and mapped, a threat assessment can be made, whether the lands are in some form of protection, through conservation ownership or easement, or privately owned with only moderate protection afforded them through regulation. Landowners may not be aware of the ecological importance of their lands or programs available to help them protect natural resources. Providing this information to landowners and encouraging their voluntary participation and stewardship may result in more conservation at little or no cost to the County. “The impact of future growth on the natural environment has become an issue of increasing interest and importance in the Port Royal Community. The effects of population growth and economic development on the natural environment include; clearing of trees, loss of plant and wildlife habitats, loss of valuable wetlands and aquatic habitat, ground water contamination, degradation of surface water in streams and the river, disruption of natural drainage systems, air pollution, increased amounts of runoff, solid waste, and degradation of scenic natural views. “Environmental deterioration need not be an inevitable consequence of population growth. 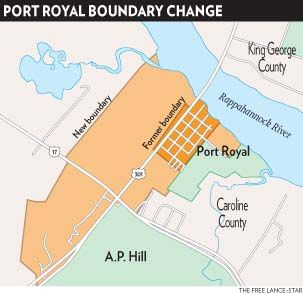 The development of new homes, businesses, industries, schools, and roads necessary to accommodate future population growth can occur without unduly threatening the natural environment of the Port Royal Community. Using the proper methods and techniques, new development can be designed and built in an environmentally sensitive manner. “Some landowners may not be interested or financially able to voluntarily restrict the use of their land, but may have an interest in seeing it conserved. The County should develop partnerships with conservation groups such as American Farmland Trust, Chesapeake Bay Foundation, The Conservation Fund, Friends of the Rappahannock, The Nature Conservancy, and The Trust for Public Lands to develop programs and grants that could lead to direct purchase, purchase of conservation easements, and purchase of development rights (PDR) on private lands. Partnerships with government agencies such as the U.S. Fish and Wildlife Service and Natural Resources Conservation Service can also lead to permanent protection of ecologically significant lands. “One of the major threats to biological diversity is the proliferation of invasive plants into native ecosystems, including Phragmites, Johnson Grass, Japanese Honeysuckle, Autumn Olive, Japanese Stilt Grass, Tree of Heaven, and others. Partnerships, such as the Rappahannock Phragmites Action Committee, have formed map and control these species within the Port Royal Community. The Rappahannock River Valley National Wildlife Refuge started to address invasive species issues on refuge lands in Port Royal, but many threats remain. The County should take advantage of existing partnerships and programs to begin identifying the extent of this threat, educate landowners, and take appropriate control measures as funding permits. “Once the most environmentally-sensitive lands are identified, loss of these lands through development should be avoided. This can be accomplished through new and existing zoning regulations, landowner education, and encouraging voluntary participation in protection and restoration programs. Goal 1 -Preserve and improve the environmental quality of the Port Royal Com­munity through measures protecting environmentally sensitive air, water, land and wildlife resources. Action Strategy 5.1-1: Develop criteria for identifying environmentally sensitive areas such as hydric or highly-erodible soils, presence of wildlife concentrations and locations of rare or threatened species or plant communities, floodplains groundwater recharge areas, and large, un-fragmented blocks of for­est habitat. Action Strategy 5.1-2: Using established criteria, identify environmentally sensitive areas and deter­mine their protection status. Action Strategy 5.1-3: Establish a Geographic Information System (GIS) to store and display land use and other information such as aerial photography, soils, wetlands, forest blocks, existing zoning, Chesapeake Bay Resource Protection Areas (RPA), floodplains, wildlife concentrations, natural heri­tage resources, conservation easements, and fish spawning streams. Action Strategy 5.1-4: Inform landowners of sensitive lands, the resources that these lands support and why they are important to protect. Action Strategy 5.1-5: Encourage voluntary participation in programs to conserve natural resources and promote the concept of land stewardship. Action Strategy 5.1-6: Develop partnerships with conservation organizations and other government agencies to protect the most sensitive and threatened lands through direct purchase, conservation ease­ments, and/or a purchase development rights program. Action Strategy 5.1-7: Identify and control invasive species that threaten biological diversity. Goal 5.2: Protect environmentally-sensitive lands from inappropriate develop­ment. Action Strategy 5.2-1: Avoid residential and commercial development on documented environmen­tally-sensitive lands. Action Strategy 5.2-2: Institute Low Impact Development methods as part of all residential and com­mercial development projects. Action Strategy 5.2-3: Cooperate with land owners and government agencies, such as the Soil and Water Conservation District and the Virginia Department of Forestry, to encourage the use of best management practices and farm conservation plans during agricultural and silvicultural activities. Action Strategy 5.2-4: Enforce new and existing regulations, especially those developed under county zoning ordinances and the Chesapeake Bay Preservation Act. Each method of implementation has the associated action strategy (AS) that corresponds to this activity iden­tified. Development and implementation of a GIS system to use in analysis of all development proposals submitted to the County (AS 5.1-1, 2, 3; 5.2-1). Coordinate the GIS development with data needs and resources of other County, State, and Federal agencies. Promote the sharing of data resources to improve efficiency (AS 5.1-3, 4, 5, & 6). Adopt LID methods as part of a countywide development standard policy (AS 5.2-2). Develop brochures to illustrate the benefits of land conservation (AS 5.1-4, 5, 6). Encourage the creation and use of an agricultural and forestal district program to preserve farmland (AS 5.1-4, 5; 5.2-3). Ensure the County has sufficient resources to plan development and protect the environment. These resources include, but are not limited, the following; offices, equipment, vehicles and personnel (AS 1-3, 6; 5.2-3, 4). Support the monitoring and elimination of invasive species in the Port Royal Community (AS 5.1-7). Explore and support the creation of a purchase of development rights program to protect sensitive environmental land (AS 5.1-4, 5, 6). Provide adequate resources to update and maintain a GIS system (AS 5.2-4). Investigate the possibilities of retro-fitting some LID methods on sites that have been previously de­veloped in the Port Royal Community (AS 5.1-7; 5.2-2). Develop and implement a web based GIS system to enable all citizens and developers to access in­formation about environmentally sensitive lands in Caroline County and the Port Royal Community (AS 5.1-6; 5.2-4). The plan predates the annexation of new properties. In 2014, Port Royal expanded to from 78 acres to approximately 481 acres. The new boundaries will generate another $60,000 annually for the town. They realized at the time the need to revise the Comprehensive Plan. 2. Excessive farming ruining the soil. Forests play a vital role in maintaining the balance of the Earth’s ecosystems. They provide habitat for more than half of all terrestrial species, help filter pollutants out of the air and water, and prevent soil erosion. Rainforests also provide essential hydrological (water-related) services. For example, they tend to result in higher dry season streamflow and river levels, since forests slow down the rate of water or rain run-off, and help it enter into the aquifer. Without a tree cover, the water tends to run off quickly into the streams and rivers, often taking a lot of topsoil with it. Forests also help the regional climate as they cycle water to the interior of a continent. The shrinking of the Amazon Rainforest reduces regional rainfall, which in turn threatens the health of the remaining forest and of the agricultural land in Southern Brazil. This also results in an increased fire risk. Forests and their soils also play a critical role in the global carbon cycle. The level of CO2 in the atmosphere depends on the distribution or exchange of carbon between different “carbon pools” as part of the carbon cycle. Forests and their soils are major carbon pools, as are oceans, agricultural soils, other vegetation, and wood products: the carbon stored in the woody part of trees and shrubs (known as “biomass”) and soils is about 50% more than that stored in the atmosphere. Trees continuously exchange CO2 with the atmosphere. The release of CO2 into the air is due both to natural processes (respiration of trees at night and the decomposition of organic matter) and human processes (removal or destruction of trees). Similarly, CO2 is removed from the atmosphere by the action of photosynthesis, which results in carbon being integrated into the organic molecules used by plants, including the woody biomass of trees. Thus forests play a major role in regulating global temperatures by absorbing heat-trapping carbon dioxide from the atmosphere, and storing it in the form of wood and vegetation – a process referred to as “carbon sequestration”. Unfortunately, the global benefits provided by trees are being threatened by deforestation and forest degradation. ‘Deforestation’ as a shorthand for tree loss.Forest ‘degradation’ happens when the forest gets degraded, for example due to unsustainable logging practices which remove the most valuable species, or artesanal charcoal production in which only a few trees are harvested. The Earth loses more than 18 million acres of forestland every year—an area larger than Ireland—according to the United Nations Environment Programme (UNEP). Deforestation is a major cause of global warming. When trees are burned, their stored carbon is released back into the atmosphere. As a result, tropical deforestation (including forest degradation) is responsible for about 12-15 percent of total annual global warming emissions according to the most recent estimates released for the climate change meeting in Copenhagen. The reasons for deforestation are complex – they are a mixture of interacting and interdependent social, economic, political, demographic (or population) and governance factors. The most important factors are clearance for agriculture (including cattle ranching), poor governance (illegal logging, corruption, and ineffective law and order), insecurity of land tenure, the system of international trade, poor planning (e.g.building of major trunk roads in forest areas), and unsustainable logging. Agricultural clearance is overall the most important cause of deforestation – it is estimated to be responsible for up to three quarters of deforestation and degradation. While some of this is for commercial biofuel crops like oil palm and soybean, which grow very well in tropical forest areas, much of it is also due to the basic problem of how to feed a burgeoning world population. Also many of the ‘agents of deforestation’ are among the poorest people in the world, often without land, who are forced to clear forest areas to feed their families. Tropical rainforests, rich in biodiversity, are suffering from warmer temperatures and less rainfall, both caused by climate change. In the past, rainforests were a sink for CO2. Now with hotter temperatures, their growth is impeded, and some are actually emitting CO2. If climate change is not mitigated, rainforests will not be able to survive. “If the IPCC’s most severe projection comes true, much of the Amazon rainforest will transform into savannah. “Food production is a leading driver of habitat loss, overfishing, and freshwater consumption. Yet the habitat under the most direct pressure from agriculture is also the most ignored: soil. An ecosystem in miniature, soil is full of microscopic canyons, bogs, and even wildlife. These features are vital to food production—but they’re seriously stressed by it, too. Fortunately, when farmers are not planting cash crops like corn and soybeans, a growing number of them are planting “cover crops” to give back to the soil that gives so much. “These include hairy vetch, clover, or field peas—that are especially good at pulling nitrogen from the air into the ground, to nourish the next round. “Cover crops are like umbrellas for the soil. When rain hits the bare ground directly, it can displace the soil, causing erosion and runoff. 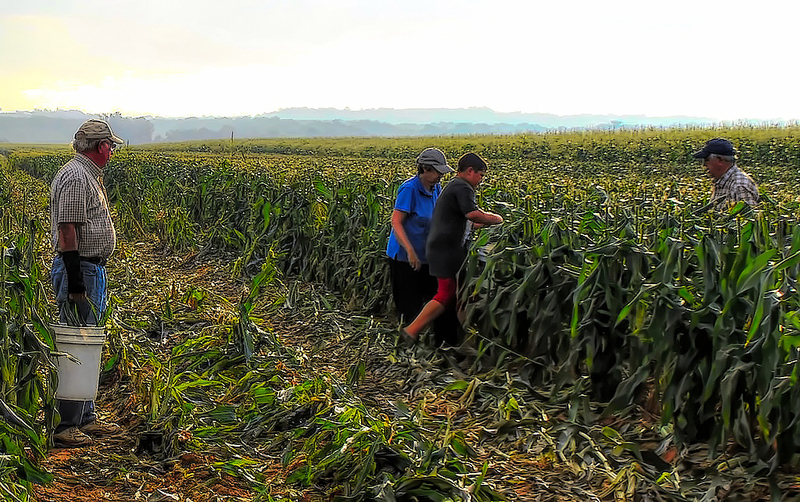 Crops break the rain’s fall and help keep more sediment and nutrients in place—and out of nearby waterways. “By allowing better water absorption and enriching the soil with nutrients, cover crops have been shown to increase yields of economically important crops such as corn, soybeans, and wheat. “In addition to improving soil health and cash crop yields, cover crops can add financial value to a farm, especially one with livestock. Letting farm animals eat the cover crops effectively turns plants into protein, and can help reduce spending on feed, fertilizer, and fuel. “While herbicides help keep weeds at bay, their overuse can come with harmful side effects. Cover crops such as cereal rye are good at suppressing unwanted plants, enabling farmers to better manage their use of these sometimes toxic treatments. “The term biodiversity (from “biological diversity”) refers to the variety of life on Earth at all its levels, from genes to ecosystems, and can encompass the evolutionary, ecological, and cultural processes that sustain life. Biodiversity includes not only species we consider rare, threatened, or endangered but also every living thing – from humans to organisms we know little about, such as microbes, fungi, and invertebrates. “Biodiversity is important to most aspects of our lives. We value biodiversity for many reasons, some utilitarian, some intrinsic. This means we value biodiversity both for what it provides to humans, and for the value it has in its own right. Utilitarian values include the many basic needs humans obtain from biodiversity such as food, fuel, shelter, and medicine. Further, ecosystems provide crucial services such as pollination, seed dispersal, climate regulation, water purification, nutrient cycling, and control of agricultural pests. Biodiversity also holds value for potential benefits not yet recognized, such as new medicines and other possible unknown services. Biodiversity has cultural value to humans as well, for spiritual or religious reasons for instance. The intrinsic value of biodiversity refers to its inherent worth, which is independent of its value to anyone or anything else. This is more of a philosophical concept, which can be thought of as the inalienable right to exist. Finally, the value of biodiversity can also be understood through the lens of the relationships we form and strive for with each other and the rest of nature. We may value biodiversity because of how it shapes who we are, our relationships to each other, and social norms. These relational values are part of peoples’ individual or collective sense of wellbeing, responsibility for, and connection with the environment. The different values placed on biodiversity are important because they can influence the conservation decisions people make every day. “Over the last century, humans have come to dominate the planet, causing rapid ecosystem change and massive loss of biodiversity across the planet. This has led some people to refer to the time we now live in as the “anthropocene.” While the Earth has always experienced changes and extinctions, today they are occurring at an unprecedented rate. Major direct threats to biodiversity include habitat loss and fragmentation, unsustainable resource use, invasive species, pollution, and global climate change. The underlying causes of biodiversity loss, such as a growing human population and overconsumption are often complex and stem from many interrelated factors. “The good news is that it is within our power to change our actions to help ensure the survival of species and the health and integrity of ecological systems. By understanding threats to biodiversity, and how they play out in context, we can be best prepared to manage conservation challenges. The conservation efforts of the last decades have made a significant difference in the state of biodiversity today. Over 100,000 protected areas—including national parks, wildlife refuges, game reserves, and marine protected areas, managed both by governments and local communities—provide habitat for wildlife, and help keep deforestation in check. To encourage biodiversity along the Rappahannock the Rappahannock River Valley National Wildlife Refuge was established in 1996 to conserve and protect fish and wildlife resources such as the bald eagle, threatened and endangered species, and wetlands. A brochure is here. It currently protects 9,030 acres. The Port Royal unit is a part of the refuge. It protects critical floodplain habitat on the river’s edge. This 125-acre site is managed as grassland and shrubland habitat for species such as vesper and grasshopper sparrows. A mowed trail provides access to the Rappahannock River, host to year-round concentrations of bald eagles and wintering waterfowl. The Fredericksburg area is one of the state’s largest producers of sand and gravel and granite used in all kinds of products, ranging from concrete and asphalt to driveway stone. About 70,000 years ago, the ocean covered the region. As the water retreated, it left behind layers of sand and gravel–up to 30 feet thick in some places. The richest deposits tend to follow the contours of rivers. Under fertile farmland in Stafford, King George and Caroline counties, a thick vein of the minerals has been mined for decades. The principal uses of sand, gravel, and crushed stone are road base, asphalt, and concrete. Companies strip off the topsoil and scoop up the sand and gravel. Many Northern Virginia buildings and roads were constructed with sand and gravel mined here. Market demand for construction sand and gravel is driven by the level of construction activity in an area. 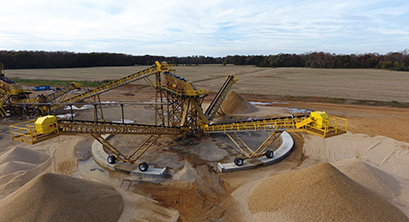 Sand and gravel operations must produce large quantities of material in order to be profitable because it is a relatively low-margin commodity. Transportation cost largely controls price, therefore most sand and gravel production involves local or regional markets near the point of use because it is not economic to transport the material great distances. Over 10 years from 2003 to 2014, four sand and gravel operations were approved that involved 1200+ acres. 1. 2003 – 295 acres south of U.S. 17 and 50 acres north of U.S. 17 near New Post owned by the Fulks family. The mining operation requires Industrial 2 zoning and a special-use permit. 2. 2008 – 60 acres across from Snead Farm, Clarks Cut. Snead will reclaim the land when done. In addition to having to have the special exception reviewed within a year of starting, only 30 acres can be mined. Snead will also have a study to protect neighboring wells. 3. 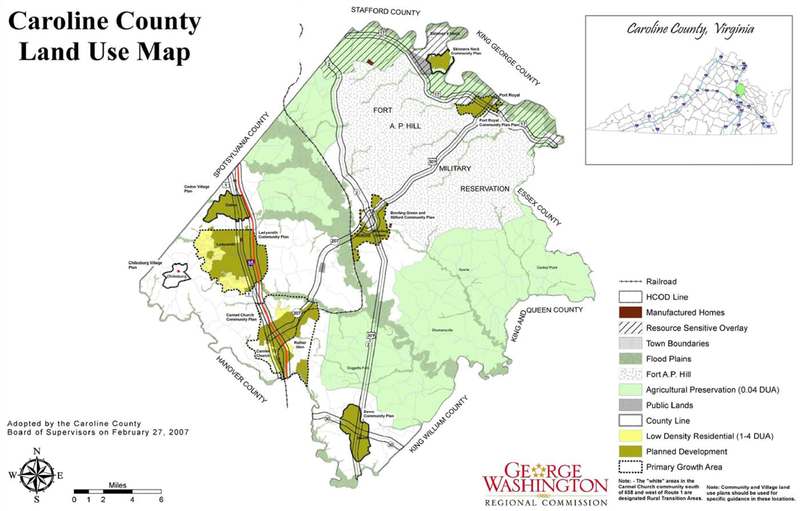 2011 – Black Marsh Farms land zoned 372 acres. Agricultural and rural preservation. 4. 2014 – Moss Neck mining by Cheney industries. 44 of the 1,209 acres to mine for sand and gravel, using 30 acres at a time. In late 2018, a fifth operation was rejected by the supervisors. This was Fox Spring Farm on 161 acres and was zoned Agriculture Preservation. The mines brought jobs to the county. Moss Neck projections included 25 jobs in the first 5 years and 49 jobs in years six through 10. Mining was limited to a certain number of acres and the land would be reclaimed. A concern was simply that mining would disrupt the rural character of the area since much of the land was protected by rural preservation. Special use permits are required since there is no mining allowed by right in the county and it is not part of the comprehensive plan. Also how productive would the reclaimed be ? Excessive instream sand-and-gravel mining causes the degradation of rivers and is a threat to river banks and nearby structures. Non-environment issues included the increase of traffic. Revenue projections were questioned by the county.